There are a lot of areas around the house that require frequent DIY, and many of these can be tackled with little risk of injury or making things worse. The garage door, however, should not be considered one of these areas, as it consists of many moving parts and hardware that can be extremely dangerous to the untrained person. Let’s take a look at some of the potential hazards of garage door systems and how to stay clear of them. 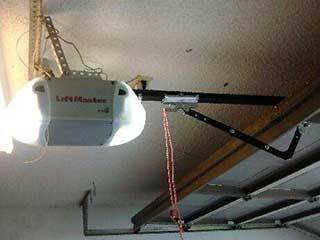 Your garage door uses springs to lift the doors up and overhead. These components can be one of the most dangerous elements of the entire construction. Many people will have garages that are over 10 years old, and the springs used in these may be exposed and not contained within a safety tube. If you believe your springs need to be replaced or re-adjusted, it’s essential that you hire a trained expert from an established company to conduct the work. With steel and metal designs, the base of the doors is structured around a bracket which handles an intense level of pressure as the door opens and closes. If this bracket is removed too sharply, by accident or without the necessary technique, it can catapult upwards and harm those nearby. If you think this area near the bottom of your doors is beginning to weaken, call a professional rather than attempt to handle it yourself. Panel replacement can be quite deceptive because it can look super easy to fit a new one. In reality, these panels are often designed to fit perfectly, which means they may not fit if raised or bent slightly. The edges of split metals can also be incredibly sharp. Our trained technicians have the know how to handle any garage door related issue and will ensure there are no safety risks posed to anyone. Though it can be tempting to have a go yourself, the consequences of getting it wrong are never worth the risk! Contact our professionals at Garage Door Repair Sacramento instead!